Updated: 5:30 p.m. | Posted: 9:12 a.m.
Seeking to reverse a decline in bees and other pollinators, Gov. Mark Dayton issued an executive order Friday that limits the use of nicotine-based pesticides. The governor's move won praise from environmentalists, but farm groups said it could hurt farmers financially. Nicotine-based insecticides known as neonicotinoids are effective against a variety of pests, so they're widely used, but a growing body of research shows the insecticides harm bees. After a two-year review of 300 scientific studies, the state Agriculture Department decided restrictions were necessary, said Agriculture Commissioner Dave Frederickson. "Some of these are bold recommendations that have not been considered by any other state across the nation," Frederickson said at a Minnesota State Fair news conference. • Demonstrated need for pest control before neonicotinoid insecticides can be applied. That means a there must be a level of pest infestation high enough to cause economic damage to the crops. • Increased inspection and enforcement to make sure users follow label restrictions designed to protect bees. These changes only affect commercial pesticide applications, not home use. The state will launch an education campaign on the proper use of pesticides for residential users. Dayton also ordered state agencies to create and protect pollinator habitat on land they manage, and stop using neonicotinoids on state-managed lands. Frederickson says the his department will ask the Legislature for authority to regulate seeds treated with pesticides before they're planted. Right now the federal Environmental Protection Agency doesn't regulate pesticides applied to seeds. "Really nobody is regulating seed treatment and of course about 80 percent of the seeds that are planted today are treated with neonics," Frederickson said. Studies show dust from planting treated seeds drifts off of fields and contaminates other flowering plants where bees feed. The insecticide stays in soil for months and can also be carried off of farm fields by water. A Minnesota beekeeper is part of a federal lawsuit trying to force the EPA to regulate seeds treated with pesticide. State Rep. Rick Hansen, DFL-St. Paul, pushed for the state review of neonicotinoids. He thinks the public will support expanded state regulation. "I hear this when I'm door knocking. I hear this when I'm in the country, i travel around the state. 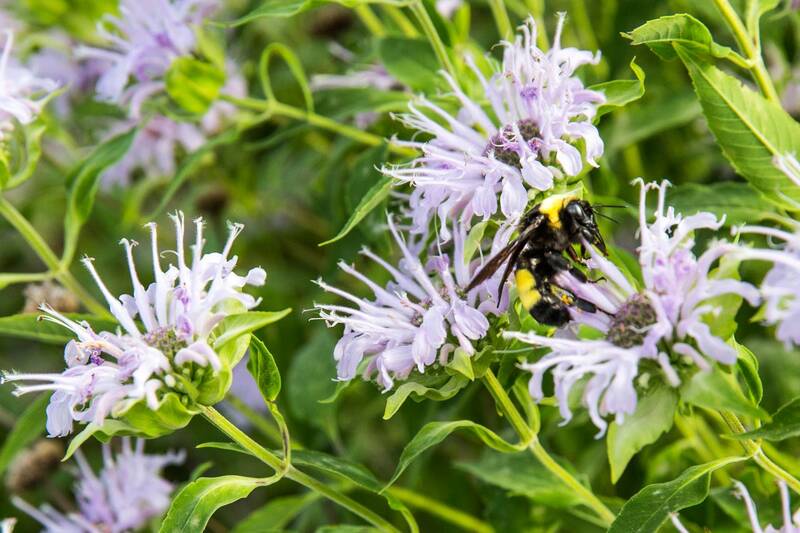 People love pollinators, they understand, they get the connection with our food, our environment and our economy," he said. 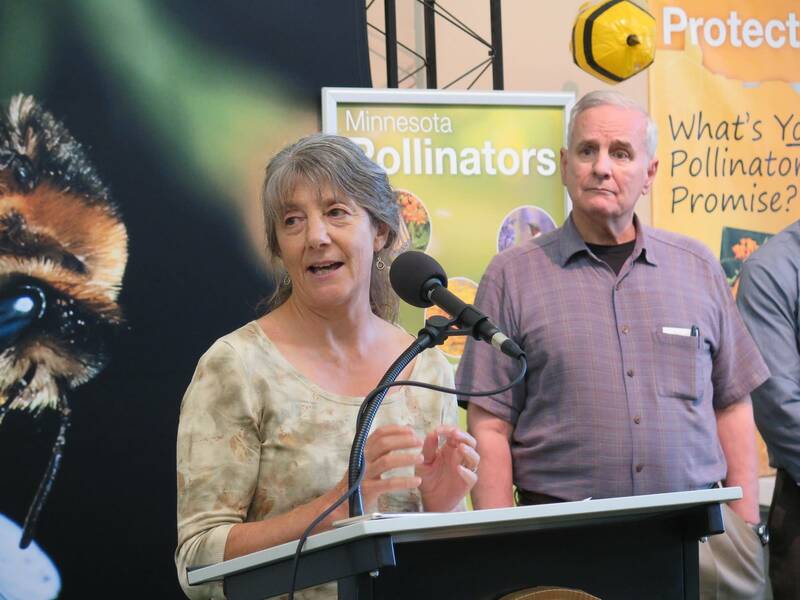 The Legislature will also be asked to set up a dedicated pollinator protection account to support research and education on pollinators and pesticides. Honeybees pollinate an estimated $17 billion worth of crops every year in the United States. Environmental groups also cheered today's announcement. "We know that pesticides are a huge factor in pollinator decline and Minnesota is the first agricultural state to take bold action on neonicotinoids including calling on the state to regulate the major issue of pesticide seed coatings," said Lex Horan of Pesticide Action Network, a group that's pushed neonicotinoid regulation in Minnesota and nationally. However, some agriculture groups were disappointed with the move to restrict pesticide use. An official with the Minnesota Soybean Growers Association called it "a knee jerk reaction". Research Director David Kee says limiting pesticide options might lead to pests that are resistant to treatment. "Consequently we need flexibility in our chemicals. We've got to have choices," Kee said, "If we don't, we'll have a resistance issue develop." Kee says farmers might be overusing neonicotinoid insecticides and he supports using them only when needed, but he worries state regulations will limit farmers' options. The Minnesota Corn Growers Association said in a statement "pollinators play a crucial role in the health of our agricultural economy" but "restrictions on the use of neonicotinoids that adversely affect farmers ability to make a living should be evaluated and implemented carefully." Bayer Crop Science, which makes two of the most common neonicotinoids said in a statement it supports efforts to protect pollinators and "while there are some science-based actions in the Governor's Executive Order that will benefit pollinator health, taking tools from farmers without an open and transparent public discussion rooted in sound science does a disservice to everyone." Marla Spivak, who co-authored the study, calls the state proposal to use insecticides only when needed a common sense approach. "That in itself is a huge statement that nobody else in the nation is making", said Spivak. "So it's a big correction, it's drawing a line in the sand and saying no, we're going to use our pesticides in Minnesota responsibly."